Though some motorcyclists wear little more than swimsuits, most try to temper their desire for two-wheeled exhilaration with a dose of self-regard. Alpinestars, the cycle-sports outerwear company, seems to have scored one for the safety-minded. 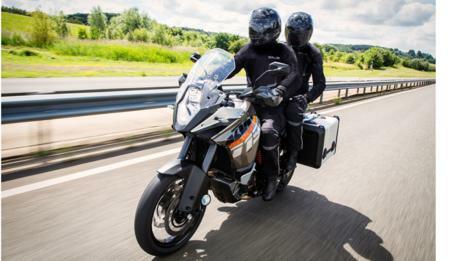 The company – with offices in northern Italy, Los Angeles and Tokyo – has developed an airbag system that cushions riders’ torsos in case of a crash. Housed in a vest that fits into select jackets from the brand, the system adds minimal bulk while maximising a rider’s defense mechanisms. Adjustments in a rider’s position or style are not required. 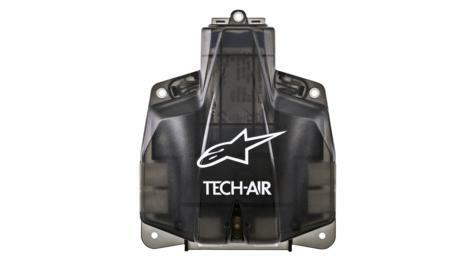 When the Tech-Air Street airbag system’s sensors determine a crash is underway – a conclusion that is reached within 30 and 60 milliseconds – compressed air is released from a pair of cylinders, instantaneously inflating strategically positioned air bladders. 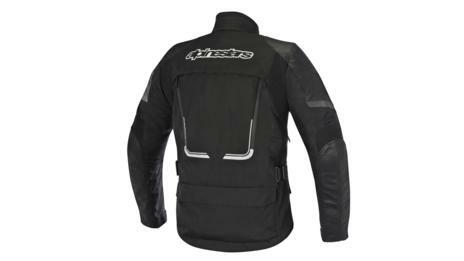 The system is stitched inside a vest that in turn zips within the company’s Valparaiso and Viper jacket models. 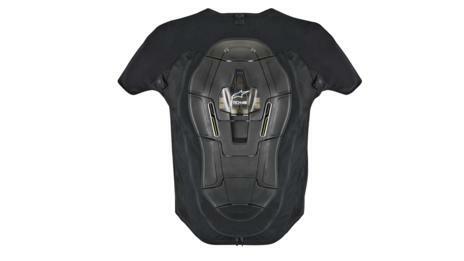 The Airbag Control Unit and air canisters fit into a rigid section – modelled on a conventional back protector – along the rider’s spine. The entire device is activated when the wearer zips the Tech-Air-equipped jacket closed. Airbags are positioned front and rear, providing coverage of the back, shoulders, kidney area and chest in the event of a crash. Riders would be hard pressed to detect a vest under a wearer’s jacket, though when the airbags inflate, a rider so-dressed appears to be wearing three sweaters. Tech-Air systems require no connection to the motorcycle, so wearers can hop from one bike to the next without compromising operation. Users must, however, remember to charge the vest’s battery pack, which is good for about 25 hours of riding when fully topped up. The Tech-Air Street system is the result of a decade of research on the road, at temperatures between -10C and 50C , Alpinestars says. The equipment has also been tested on competitive circuits, where racing versions have protected MotoGP aces Marc Marquez, Jorge Lorenzo and Dani Pedrosa from crash injuries. Indeed, a full racing suit for recreational sportbike riders and club racers would not be surprising down the road. The system even is intended to protect stationary riders, in the event of a rear-end collision when waiting at a traffic light, for example. 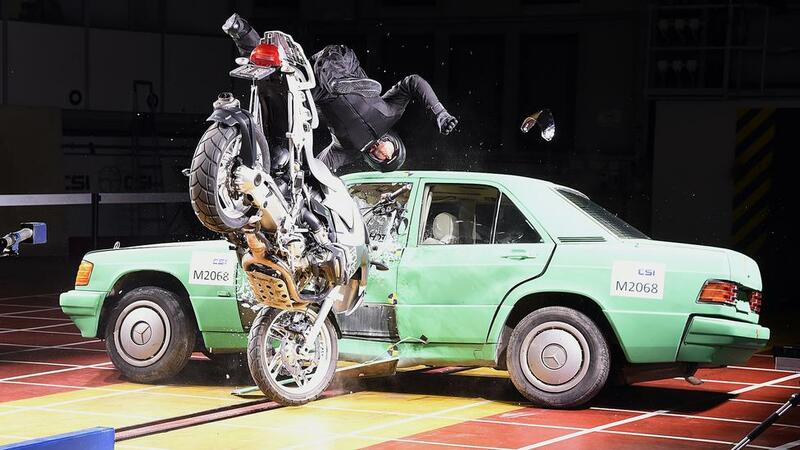 Other tested contingencies include a rider who wears a backpack over the jacket system, as well as a rider and rear passenger who suffer simultaneous accidental deployments, to ensure stability is maintained. The Tech-Air will be available in select European markets in mid 2015, with US sales and other makerts to come later in the year. Initial pricing for the vest is 1,200 euros ($1,440), which mates to either the Valparaiso (650 euros) or Viper (350 euros) jacket. Pricing for the US market will be announced closer to the system’s availability date.